If there are any tap dance enthusiasts who haven’t heard of tap dance company Old Kent Road, they they’d do well to look them up. 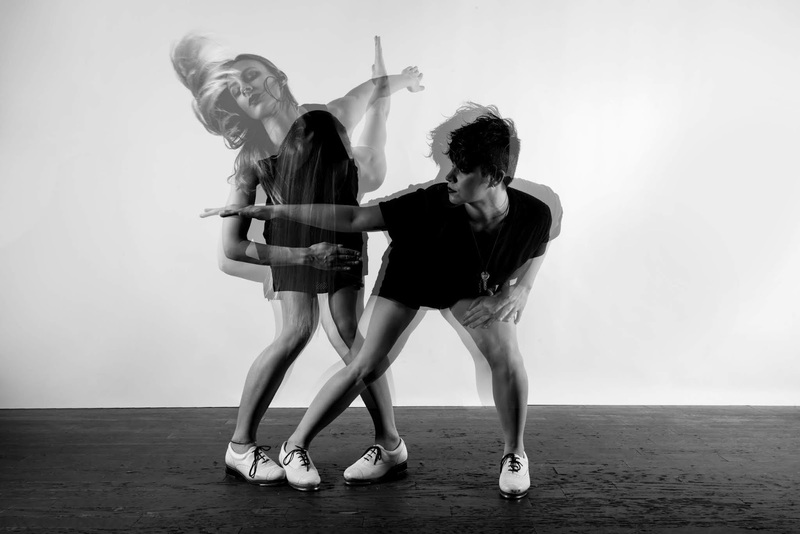 The synced up ensemble of passionate tappers, who claim to be raising the game in the UK tap scene whilst paying homage to the history and culture of their art form, star in OSCiLLATE, the first work by a British Tap dance company to be performed at Sadler’s Wells Theatre. OSCiLLATE is a pounding piece of tap dance theatre which explores human interactions and the effects of communication on relationships. The production gets off to a slightly sluggish start, but soon the outstanding cast of 9 are tapping with an almost superhuman frantic energy. Crisp choreography by founder and artistic director Avalon Rathgeb and co-choreographer Dre Torres draws attention to the precision of the craft, and the immense talent of the cast. In particular, Torres shines in an exasperated solo at the top of the show, which establishes an air of emotional volatility which continues to reappear again and again throughout the production. Lighting design is also used to excellent effect. Strong flashes of neon lighting emphasise the wild atmosphere of the production. Additionally, one particularly memorable moment sees the entire cast on stage employing the use of spotlight lamps as part of their routine, flicking the lights on and off to draw attention to each dancer in succession. The resulting intimacy of the lighting juxtaposes the bustling crowded stage, and gives the whole routine a feeling of loneliness and isolation. A crowd of strangers externalising their internal emotions. It’s a genius combination of production design and choreography. The camaraderie of the cast is plain to see as they tap in perfect unison, and when each cast member is given their own moment to shine, they do so effortlessly, but never at the expense of the expertly fashioned choreography. For dance enthusiasts, Old Kent Road’s innovative work should not be missed.